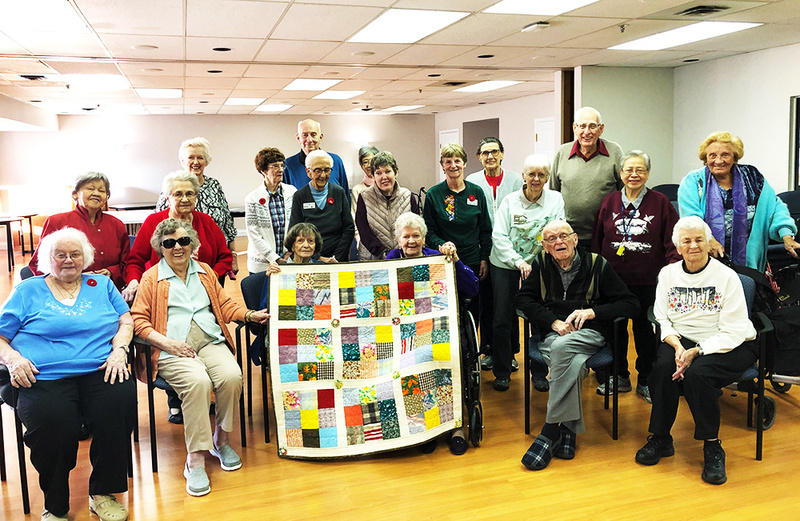 Courtyard Gardens residents and long time family member, Vickie McLeod, all took part by collecting, organizing, designing and sewing a handmade Quilt using recycled fabrics. 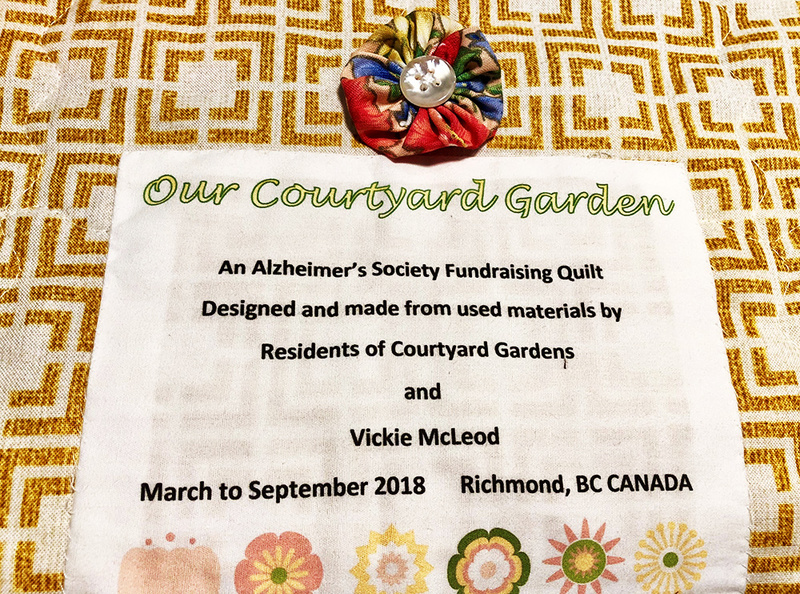 The 7 month project is now complete & Courtyard Gardens will be holding a raffle draw until December 7th for a chance to win the beautiful, handmade finished product with all proceeds going to the Alzheimer Society in Richmond, BC. 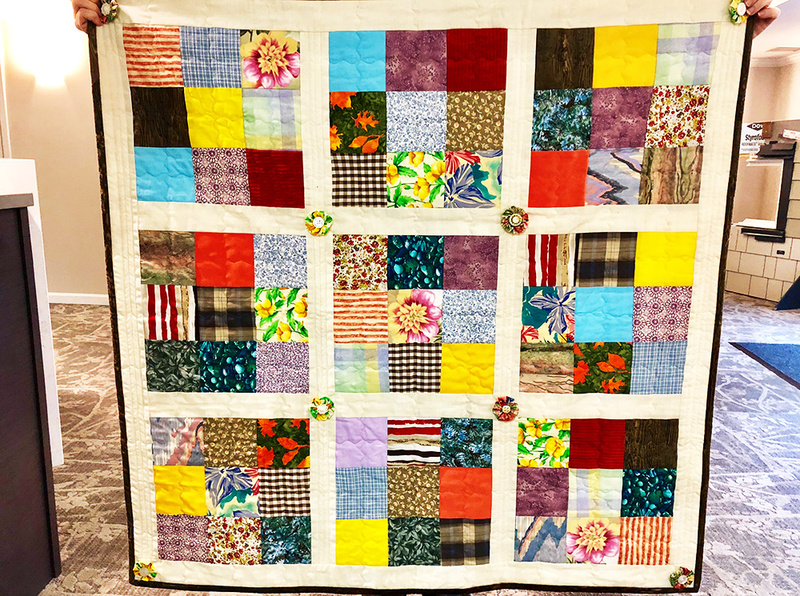 We are all extremely proud to be part of such a wonderful project raising awareness for a worthy cause!